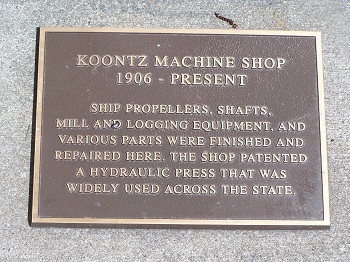 Ship propellers, shafts, mill and logging equipment, and various parts were finished and repaired here. The shop patented a hydraulic press that was widely used across the state. 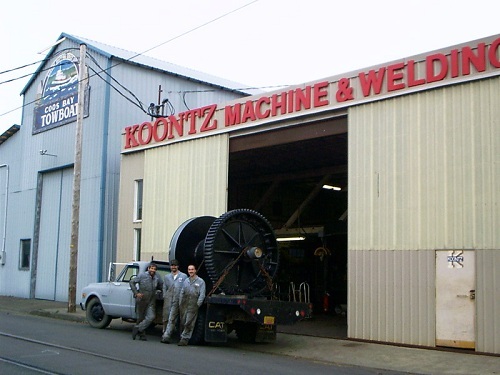 Copyright ©2010 Koontz Machine and Welding Inc. All Rights Reserved.